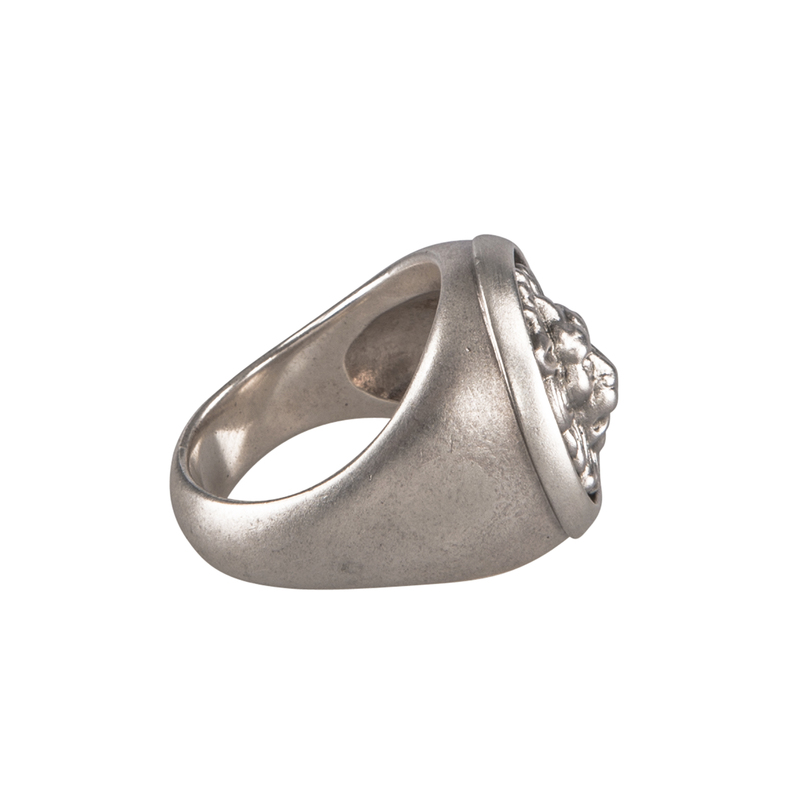 Rakelle rings are exclusively available at B74. 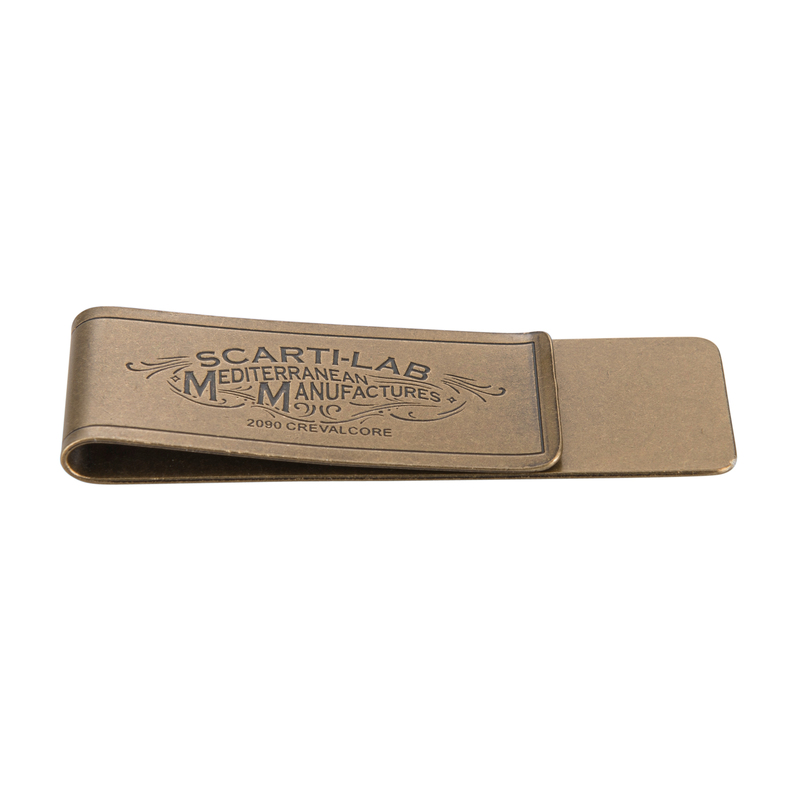 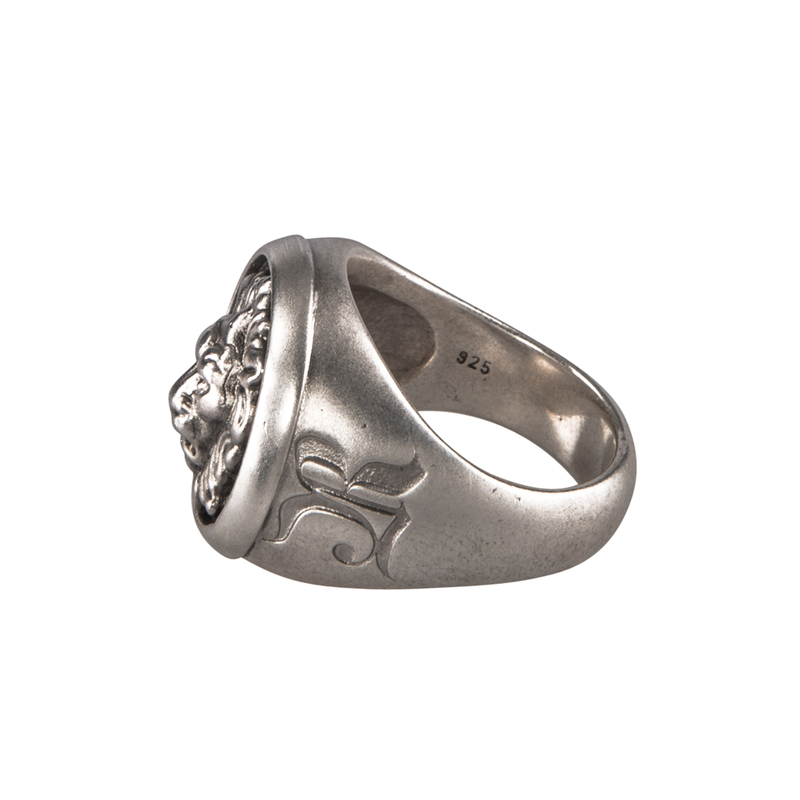 All rings are handmade in Germany of 925 silver and 585 gold. 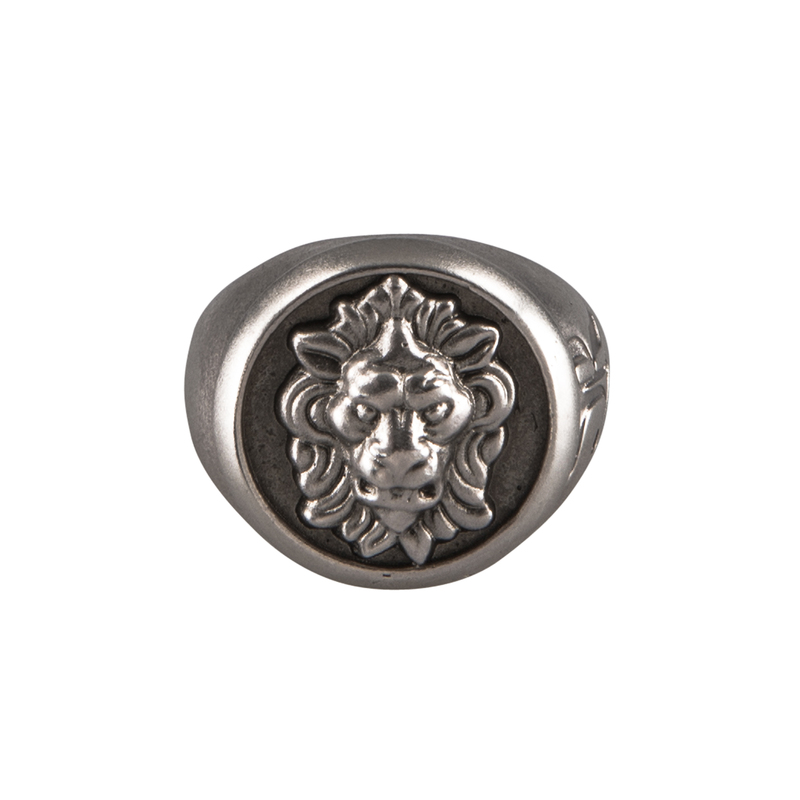 Here the powerful and wonderful detailed Lion ring. Rakelle logo letter on left side.